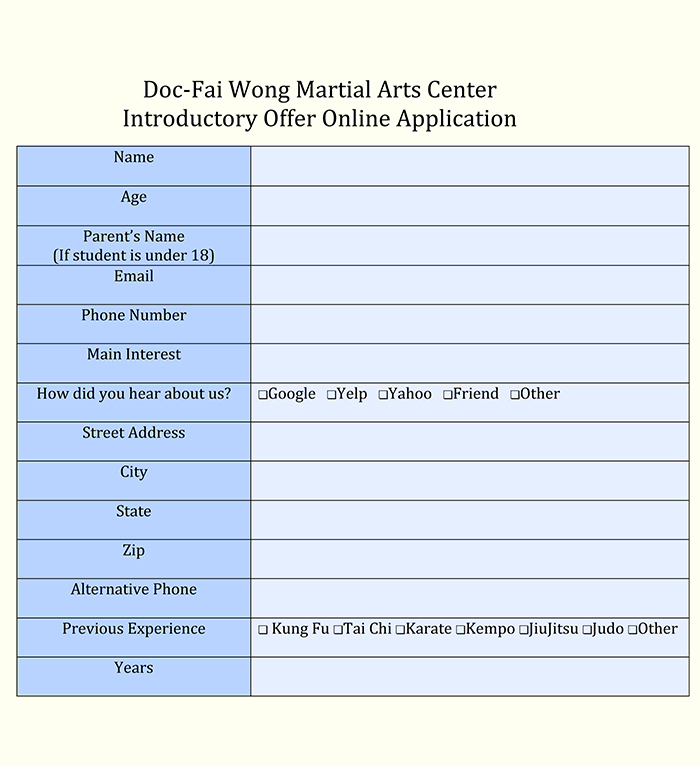 Please download this pre-registration form and submit via email to sfkungfu@gmail.com for your Introductory course. * Submission must be received and verified by Program Director at Doc-Fai Wong Martial Arts Center to for the special offer to be used. This offer is not transferrable.